If you are a garlic lover, then it’s less than flattering name “the stinking rose” may be rather appropriate. 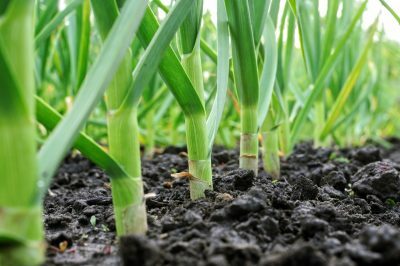 Once planted, garlic is easy to grow and depending upon the type, thrives to USDA zones 4 or even zone 3. 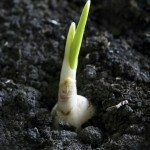 This means that growing garlic plants in zone 7 should be no problem for garlic devotees in that region. Read on to find out when to plant garlic in zone 7 and garlic varieties suited for zone 7. Garlic comes in two basic types: softneck and hardneck. Softneck garlic does not produce a flower stalk, forms layers of cloves around a soft central core and has the longest shelf life. Softneck garlic is the most common type found in the supermarket and is also the type to grow if you want to make garlic braids. 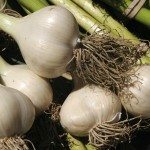 Most softneck garlic varieties are suited to areas of mild winters, but Inchelium Red, Red Lock, New York White Neck and Idaho Silverskin are suitable for garlic varieties for zone 7 and, in fact, will thrive in zone 4 or even 3 if protected over the winter months. 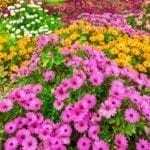 Avoid planting the Creole types of softneck, as they are not winter hardy and do not store for any length of time. These include Early, Louisiana, and White Mexican. Hardneck garlic does have a hard flower stalk around which fewer but larger cloves huddle. Hardier than many of the softneck garlics, it is an excellent choice for zone 6 and colder regions. Hardneck garlic is divided into three major types: purple stripe, rocambole and porcelain. German Extra Hardy, Chesnok Red, Music and Spanish Roja are good choices of hardneck garlic plants for growing in zone 7. A general rule for planting garlic in USDA zone 7 is to have it in the ground by Oct 15. That said, depending upon whether you reside in zone 7a or 7b, the timing might shift by a couple of weeks. For example, gardeners that reside in western North Carolina can plant in mid-September while those in eastern North Carolina may have all the way up to November to plant garlic. The idea is that the cloves need to be planted early enough for them to grow a large root system before winter sets in. Most types of garlic need a cold period of around two months at 32-50 F. (0-10 C.) to foster bulbing. Hence, garlic is usually planted in the fall. If you have missed the opportunity in the fall, garlic may be planted in the spring but it usually won’t have very large bulbs. 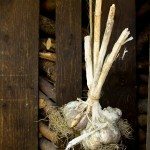 To trick the garlic, store the cloves in a cold area, such as the refrigerator, below 40 F. (4 C.) for a couple of weeks prior to planting in the spring. Break bulbs apart into individual cloves just prior to planting. Place the cloves point side up 1-2 inches (3-5 cm.) deep and 2-6 inches (5-15 cm.) apart in the row. Be sure to plant the cloves deep enough. Cloves that are planted to shallowly are more likely to suffer winter damage. Plant the cloves about one to two weeks after the first killing frost up until 6 weeks or so before the ground freezes. This might be as early as September or as late as the first part of December. Mulch the garlic bed with straw, pine needles or hay once the ground begins to freeze. In colder areas, mulch with a layer of about 4-6 inches (10-15 cm.) to protect the bulbs, less in milder areas. When temps warm in the spring, pull the mulch away from the plants and sidedress them with a high nitrogen fertilizer. Keep the bed watered and weeded. Prune off flower stalks if applicable, as they appear to channel the plant’s energy back into producing bulbs. When the plants begin to yellow, cut back on the watering so the bulbs will dry out a bit and store better. Harvest your garlic when around ¾ of the leaves are yellow. Dig them out carefully with a garden fork. Allow the bulbs to dry for 2-3 weeks in a warm, aerated area out of direct sunlight. 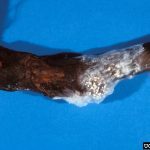 Once they have cured, cut all but an inch of the dried tops off, brush any loose soil off and trim off the roots. Store the bulbs in a cool, dry area of 40-60 degrees F. (4-16 C.).